Kedai Kopi Nyuk Pau baru serving good and delicious beef noodle for over 30 years. They have franchise all over Kota Kinabalu but people still love their Menggatal branch helm by the daughter. 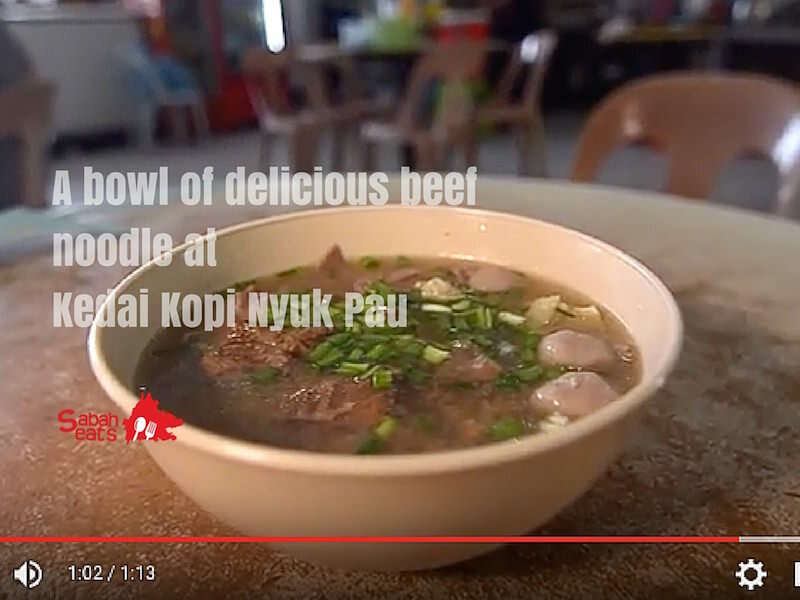 See the story and preparation of Kedai Kopi Nyuk Pau Baru at the video below.